The sounds picked up by the microphones are transmitted via two powerful 500 mW radio transmitters to the lightweight central processing unit SeCorrPhon AC 06 Digital Signal Processor where the information is quickly analysed & the resulting leak position is displayed both graphically and numerically, in metres to the leak from each sensor. The receiver and radio transmitters can all be charged in the closed case doing away with the nuisance of having multiple component parts plugged into various sockets around your office. In the event of accidental damage to a radio transmitter either microphone can be plugged directly into the SeCorrPhon AC 06 allowing you to carry on working without interruption. 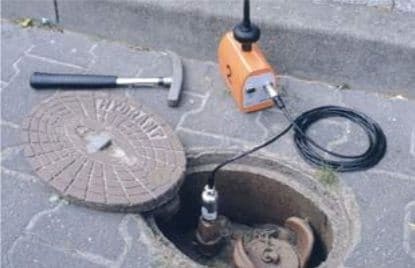 Hydrophones are microphones which are attached, via hydrants, directly into the water column (as opposed to on the external surface of the pipe) so even very quiet water leak noise can be heard far more successfully. They are particularly useful on plastic pipes and trunk mains where sounds does not travel as well as on cast and steel pipes. Reports: PC software produces clear reports including: Your address, client’s address, operator, leak location, material, diameter, coherence, correlation and a pictorial representation of the leak location. Correlation is a way of finding and pinpointing leaks in pressurised water pipes. A leak in a pipe under pressure creates noise that travels through the pipe walls, the surrounding ground and along the contents of the pipe. If two highly sensitive microphones are attached to two different locations on a pipe with a water leak between then the sound from the water leak will take longer to travel to the microphone furthest from the leak; this is referred to as the “time delay” or ∆t. 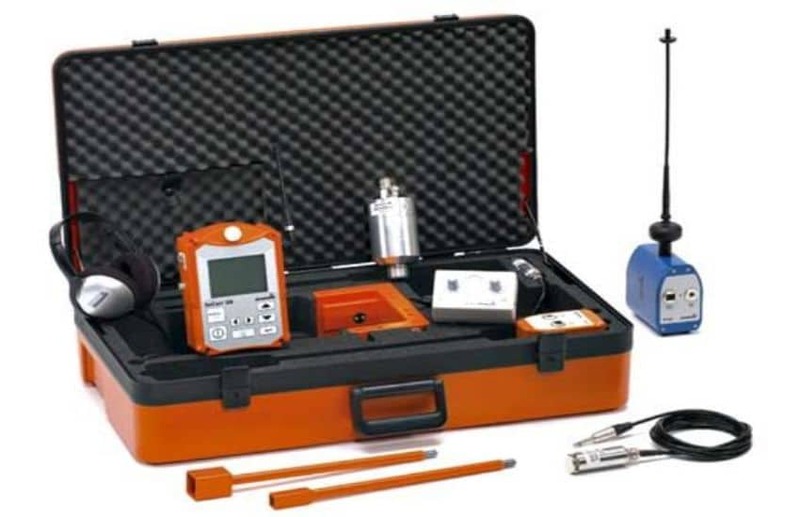 Utilising this and other information (pipe diameter, material and length of section under test), the exact leak position can be calculated by the correlator SeCorrPhon AC 06. 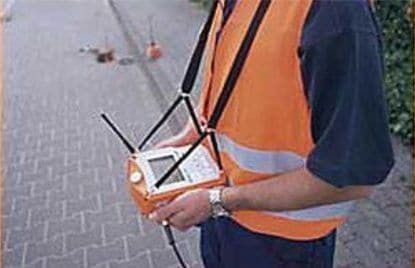 Listening sticks or ground microphones used for water leak detection can be affected by external noise interferences such as cars, wind etc.. The correlator SeCorrPhon AC 06 is unaffected by these interferences making water leak detection possible in even the noisiest environments. Other surrounding influences including the depth of pipe, ground conditions and rain have no effect on the accuracy of results. When using electro-acoustic devices the operator’s experience and sense of hearing is paramount. 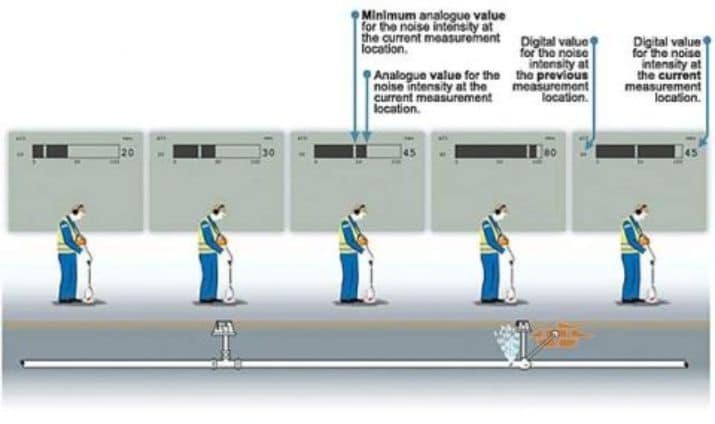 Correlation is based on mathematical calculations consequently the reliance on the operator’s subjective views are eliminated allowing anyone with minimal training to carry out leak location. After correlation has been carried out it is always advisable that the indicated leak position should be checked by listening on the ground above the suspected leak location. With other correlators this would mean having to purchase a separate ground microphone – not so with the SeCorrPhon AC 06. There are also times when it is impractical to use a correlator and the only way of locating a leak is to use an acoustic listening instrument. With the SeCorrPhon AC 06 there is no need to purchase another instrument. It is also a fully featured ground and valve microphone device having ALL the features of our standalone ground mic system A100. Current “lowest” noise level: – A leak noise does not get quieter but traffic and wind noise will increase and decrease. The SeCorrPhon AC 06 ignores all these interfering noises digitally displaying only the “quietest” it has been during the time you have been listening. The current “actual” noise level is also displayed as an analogue bar graph. This is a constantly moving display depending on ambient noise levels. Memory: The last lowest noise level is stored and displayed. Are you closer or further away from the leak in the current listening position compared to the last? Is the leak sound getting louder or quieter? The higher the number on the display the closer to the leak you are. Amplification: There are three levels of amplification (as well as the volume control). The amplification level can be selected to best suit the noise level being listened to. With normal acoustic detection instruments an uncomfortable, sometimes painful and dangerous, noise is heard when the test rod slips from the contact point, or the headphones are activated too soon, or not soon enough, or some comedian bangs their foot to see if you “can hear”. The SeCorrPhon AC 06 incorporates a novel technology to makes this danger a thing of the past. When a very loud noise is picked up the sound in the headphones is immediately muffled. If the sound increases even further, the headphones are switched off completely. We do not all hear best at the same frequencies; some people prefer listening at high frequencies others to lower. Leaks do not all produce noise at the same frequency. Sometimes interfering noises make listening at certain frequencies very difficult. By applying your own choice of frequency filters you can listen to any frequency range that you wish which best suits the leak noise being listened to, your hearing and to filter out interfering noises, all selected by the push of a button. If you are unsure of what frequency filters to use the SeCorrPhon can help you decide. The filter-optimisation function makes it easier to detect leaks even when the sound is very muffled. By activating the frequency filter button the receiver takes a noise sample which is analysed & the optimum frequency range is set. This can greatly assist those with less experience making the sound of the leak clearer. When a microphone is plugged in the SeCorrPhon® automatically recognises which model it is and sets the best filter range. If you have chosen an alternative setting it defaults to the last settings you chose. The SeCorrPhon even turns itself on and off when you plug the microphone in or out.